The Sedona Chamber of Commerce does an outstanding job providing information about Sedona. 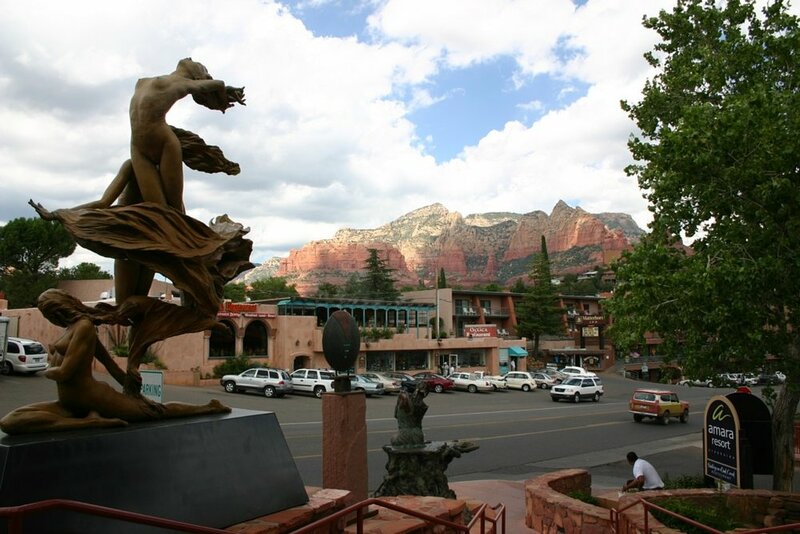 Their uptown Sedona office is a great place to start exploring. However, our 30+ years of living in the area have made us a bit biased towards certain Sedona attractions and some of our favorites are listed below. Sedona offers world class hiking with a range of difficulty and a variety of scenery. There are hundreds of hikes in the area, but two of our favorites are the West Fork of Oak Creek and Boynton Canyon. Both provide unequaled views of Sedona's glorious landscape. Keep in mind that it can get very hot during the summer months so bring water and start in the early morning! Slide Rock State Park is one of Sedona's most popular locations. About 30 minutes up Oak Creek Canyon from Lo Lo Mai, the natural water slide and beach like activity draws HUGE crowds on summer weekends. If you want to avoid the rush, go early or during the week if possible. Although there are many jeep tour companies in Sedona, the original and most famous is Pink Jeep. Pink Jeep has been around almost as long as Lo Lo Mai (They started bouncing people around the red rocks over 50 years ago!) and they do a great job mixing excitement, scenery and safety. Sedona is famous for its galleries and shops, but the best of the best is Tlaquepaque. Tlaquepaque's beautiful architecture, cool shops, galleries, and excellent restaurants blend together to make a shopping experience even ardent non-shoppers like us can enjoy. If you want to see the red rocks of Sedona from the car, there are many beautiful drives. Airport Mesa is in the center of Sedona and offers spectacular views of the entire region. Catching a sunset from the mesa is worth dealing with the crowd. Oak Creek Canyon (Route 89A) between Sedona and Flagstaff is another spectacular drive. The canyon road is steep and windy (not recommended for RV’s), but beautiful. Every time you visit a new place, you expect to try new and fresh food that you can't get anywhere else. Sedona has plenty of restaurants catering to every taste.